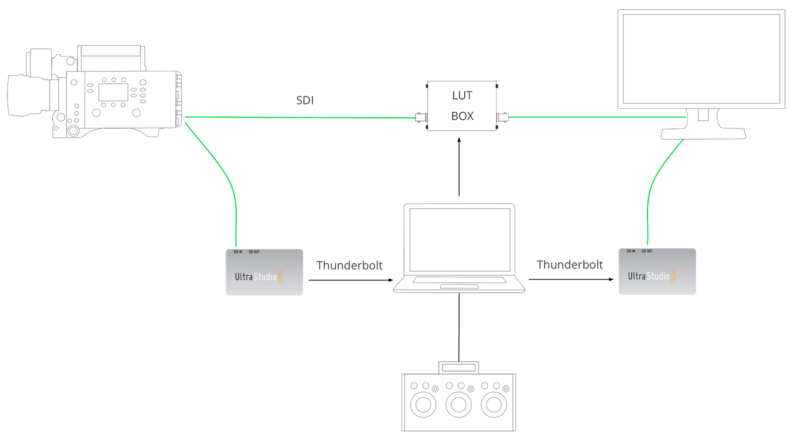 Additionally, figure 2 shows the SDI setup needed for the recording and frame grab features in LiveGrade Pro. In this case, a second SDI cable from the camera is connected to the Blackmagic Design Ultrastudio card. This transfers the video signal over thunderbolt into LiveGrade, where you can grade the image at the same time as the LUT is loaded into the LUT Box, or record clips and framgrabs. All the settings needed for capturing an SDI signal are described in the article SDI signal recording and frame grabs. In order to get an SDI-Out signal from LiveGrade, please follow the directions as described in the article Image View Output to HD-SDI in LiveGrade Pro. Legal Range: Code values for luminance range from 64 to 960 in a 10bit (0…1023) signal. 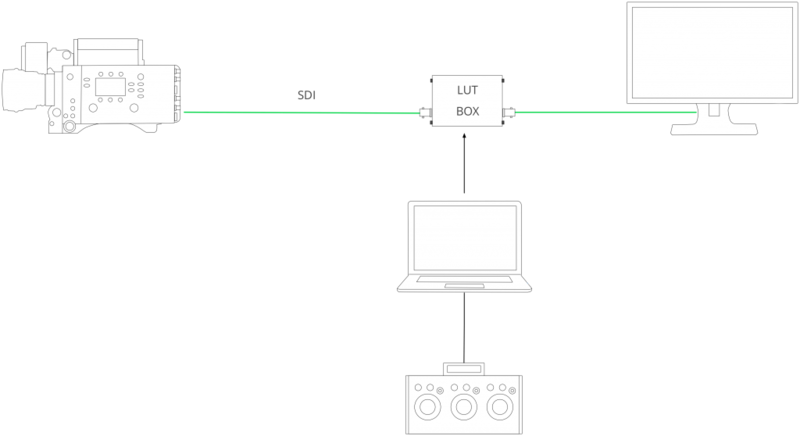 This is the common setup and usually the default setting for HD-SDI signals. Extended Range: Code values for luminance range from 0 to 1023 in a 10bit (0…1023) signal. This is a special setting useful for certain workflows. 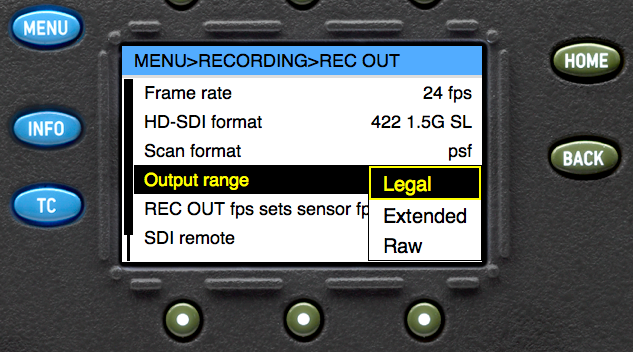 HD-SDI signal sources and destinations can usually be configure to output / expect legal or extended range code values. Depending on these settings LiveGrade has to be configured accordingly to handle incoming and outgoing signals. You can set the Legal / Extended range settings for each attached device in the Device Manager screen. 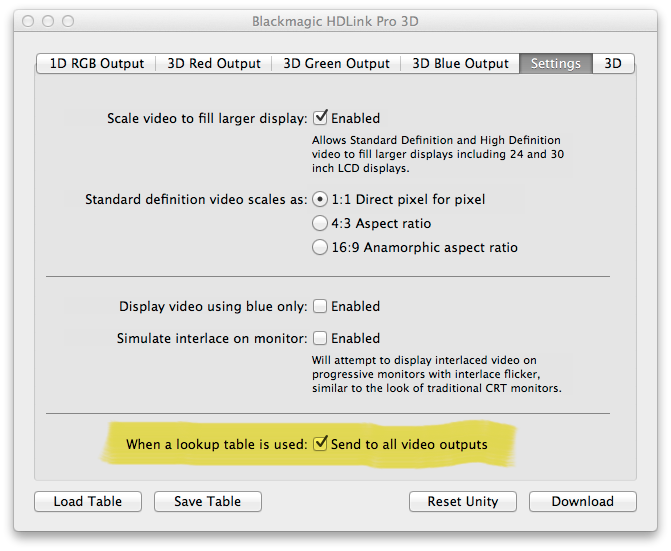 To see the color transformations made by LiveGrade on SDI-Out, please make sure, that the “Send to all video outputs” checkbox is set in the BlackMagic HDLink Utility (the software comes with the devices). Without this checkbox checked HDLink will only display modified colors on the DisplayPort, DVI, and HDMI ports. 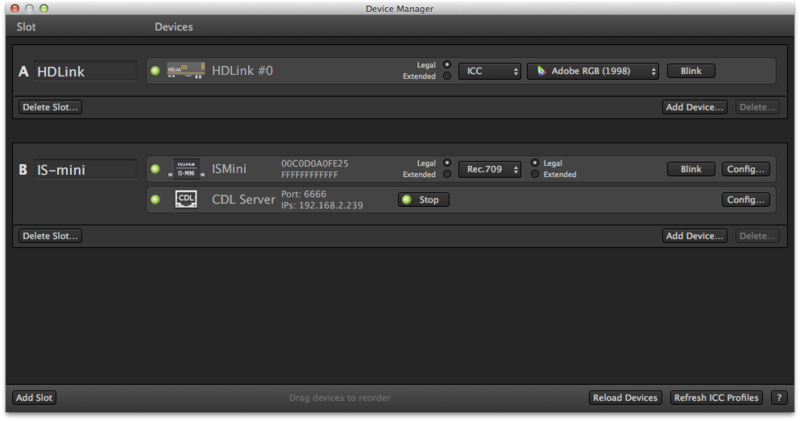 For more information about compatible HDLink devices, see Supported HDLink models.